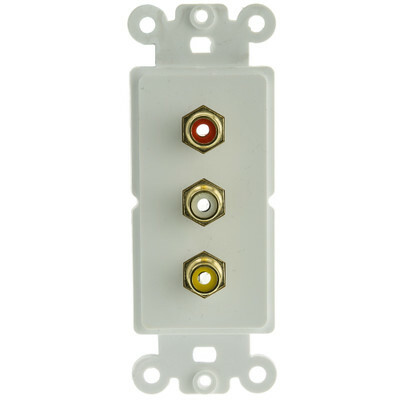 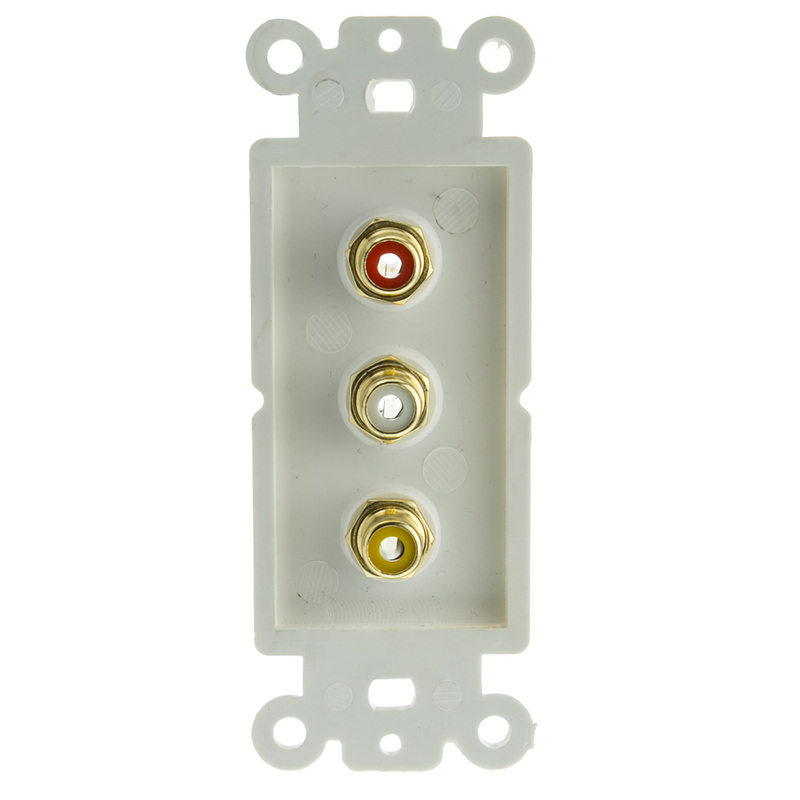 This white RCA Decora Wall Plate Insert has three RCA Composite Video/Audio male jacks. 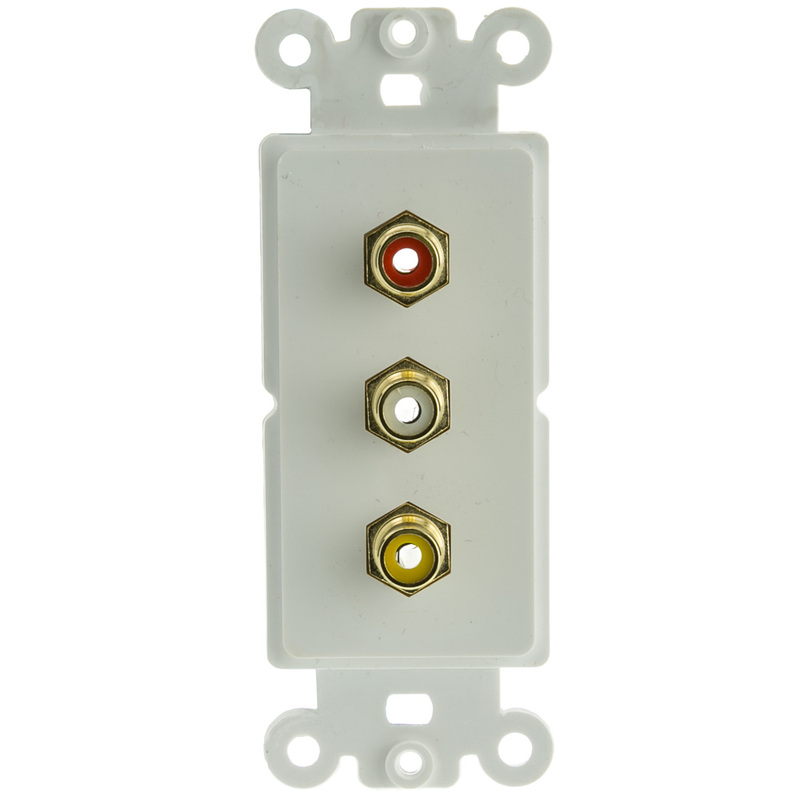 Will fit any standard wall plate. 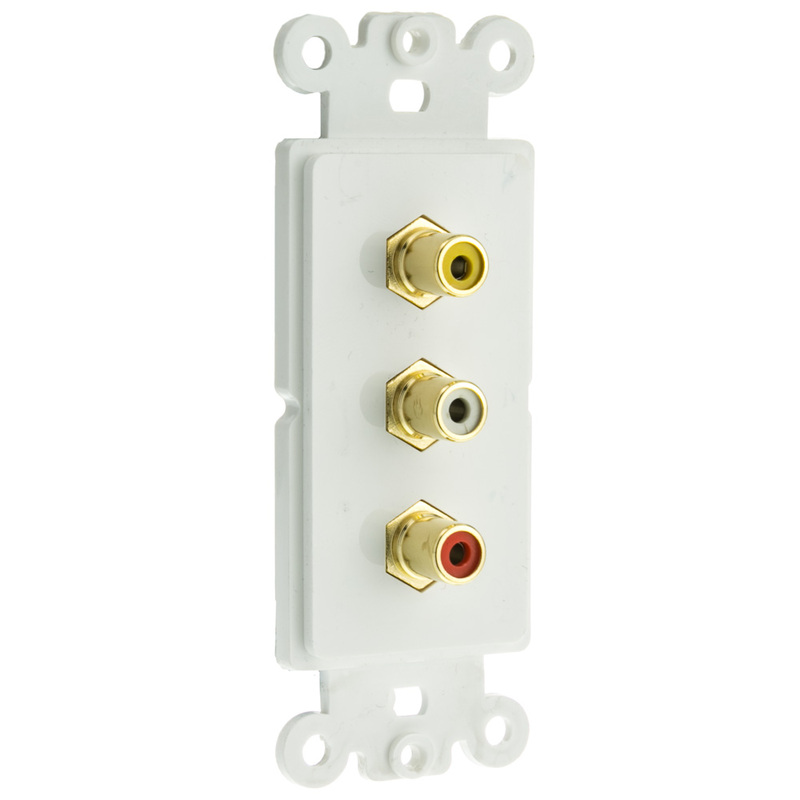 Was building a shelf for my video games, put one of these behind each console. 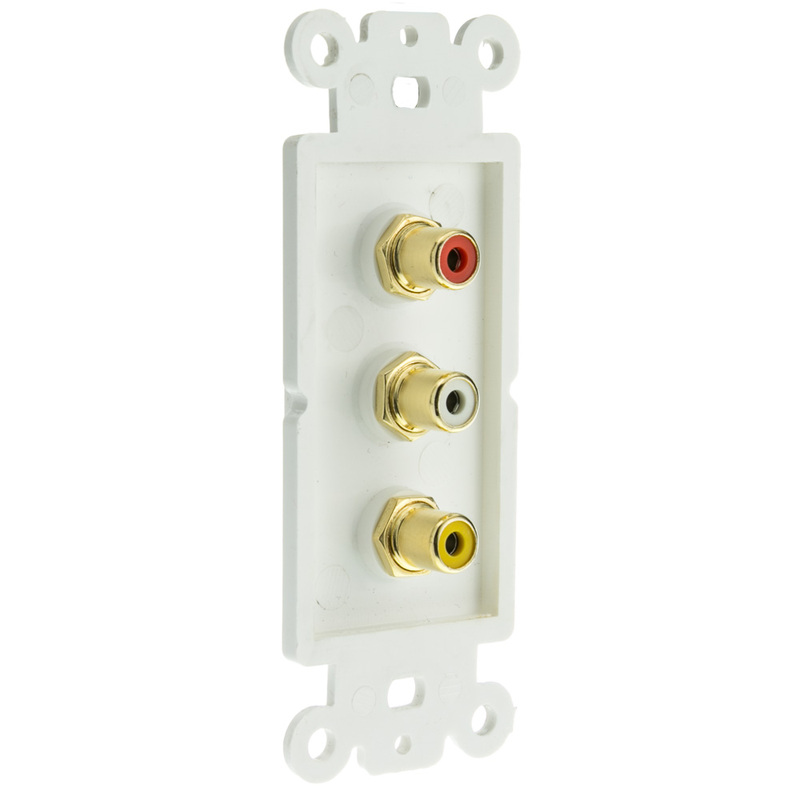 Made hookup and disconnecting a breeze.